Hi there! It's Crystal here with my FIRST Uniquely Unity post for the blog. You might have seen lots of my work recently and now I get to share a fun and easy card with this month's Uniquely Unity kit. 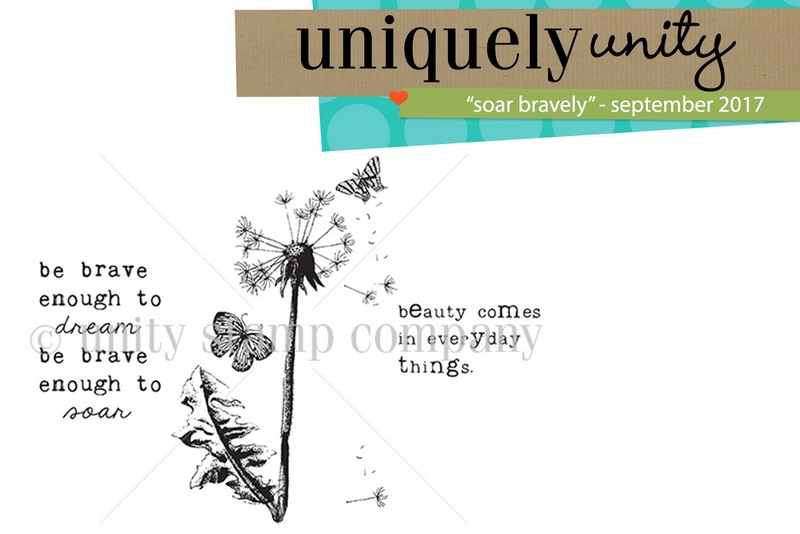 Soar Bravely is not available to purchase separately so, today is the LAST day to sign up and get this beauty before it becomes unavailable. Hope you enjoyed this card! Don't forget to sign up and become a member of this fun group.